Vietnam left an indelible impression on me. Walking the street in the sweltering heat with motorbikes whizzing past every which way, it was hard to not feel exhilarated and excited by Vietnam’s fast beating pulse. The cities are packed to the gills with vendors of every sort – it is hard to not fall in love with the crackles, sizzles and the savory smells from all of the extraordinary street food. With so many memorable bites and over 1200 pictures that capture our unforgettable experience it is hard to share it all, but here are some highlights (mostly sweet) from the rest of our vacation. 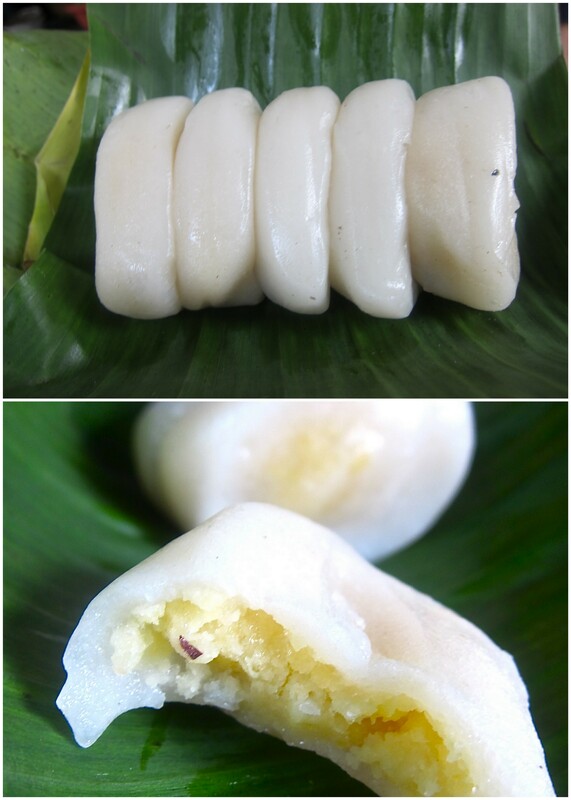 While enjoying a tasty bowl of pho bo at a streetside café in Hanoi, we stumbled upon an unassuming dessert from a vendor walking by selling varieties of sticky rice. I had no clue what it was so had to ask my guide to all Vietnamese cuisine, Cathy. We believe it is banh it ngot (correct me if I’m wrong) – they were sweet and sticky coin shaped purses filled with sweet mung bean paste, and they had a wonderfully chewy bite. Vietnam has fresh squeeze juices covered! We found a café serving nothing but fresh squeezed juice (nouc ep) in any variety of fruit you desire. It was so good we made several visits, each time ordering seconds. The fresh guava juice was my favorite. The guava was sweet and floral with a nice, almost grassy essence from the fruit’s rind. 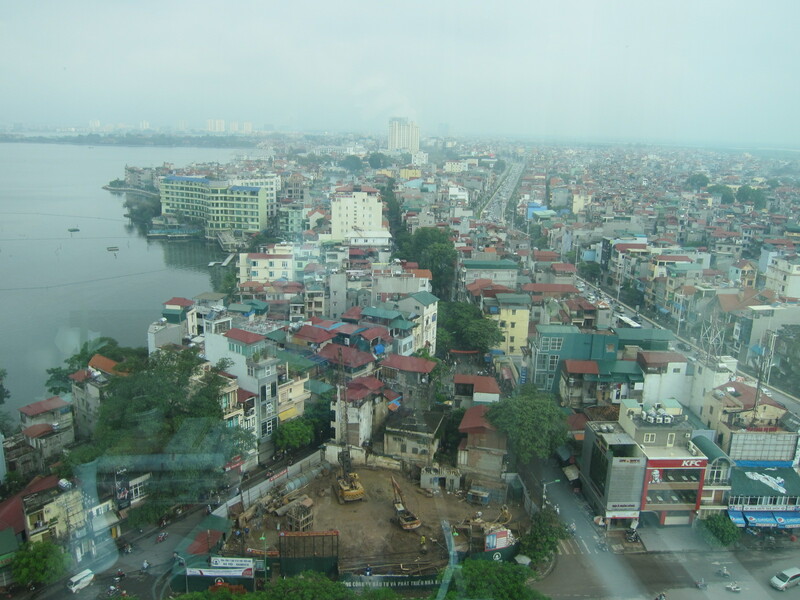 Nuoc ep can be found throughout Vietnam. Don’t miss out. We had one last delicious night in Hanoi before we were off to Hue. 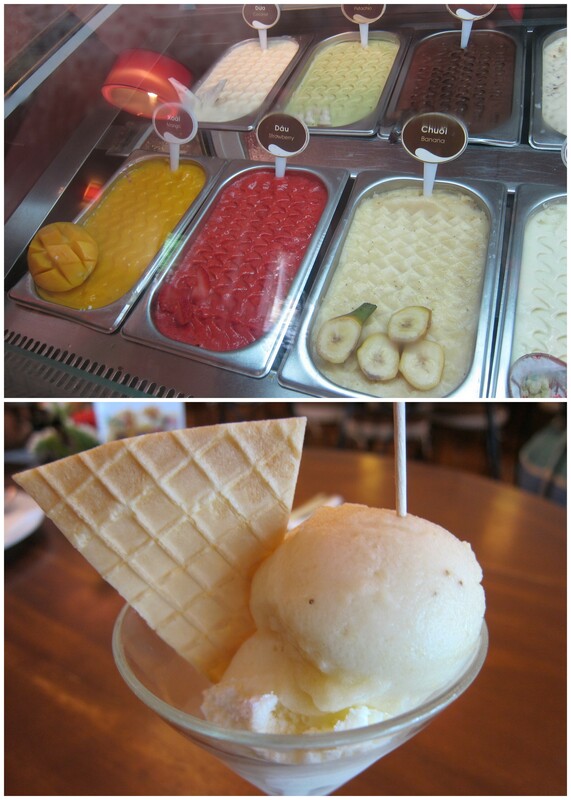 We delighted in what I will boldly declare the best ice cream ever at the Fanny Ice Cream Parlor next to Hoan Kiem Lake. The coconut ice cream is milky, a little nutty and super creamy smooth. 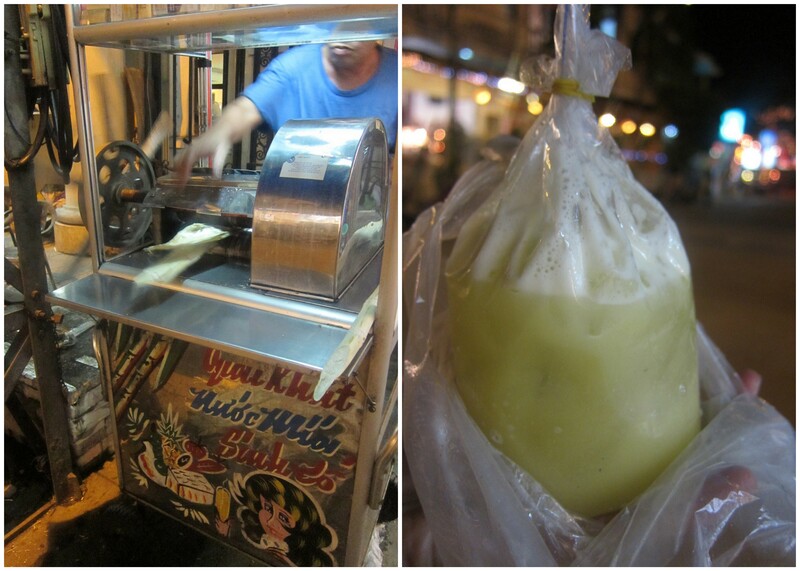 The banana ice cream is sweet and wonderfully gooey. The passion fruit ice cream (not pictured) is puckery tart and refreshing. AND on Fridays they offer an all you can eat ice cream night! As in Hanoi, the streets of Hue are filled with life. 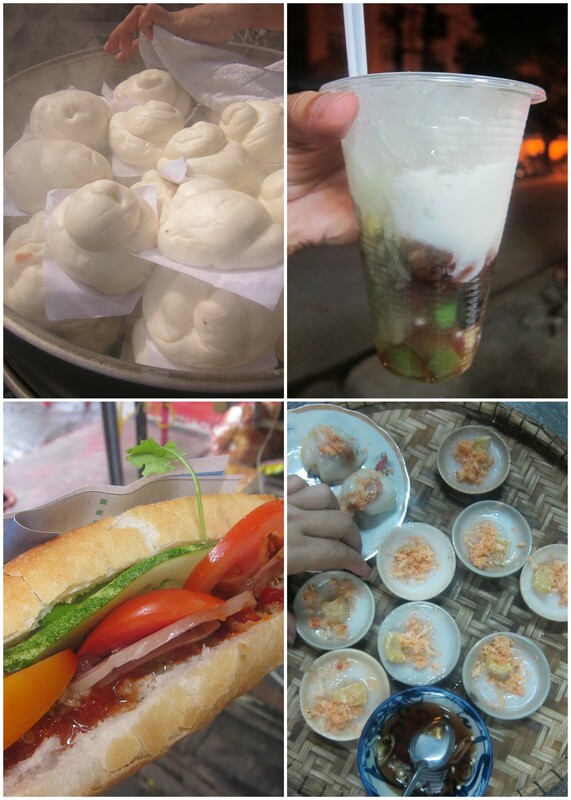 We slurped up bánh beo, we ate our weight in bánh mi, we devoured banh xeo, we chased bikes strapped with racks full of steaming hot bánh bao and we slowly savored chè (Vietnamese sweet soup that is super gelatinous and gooey). 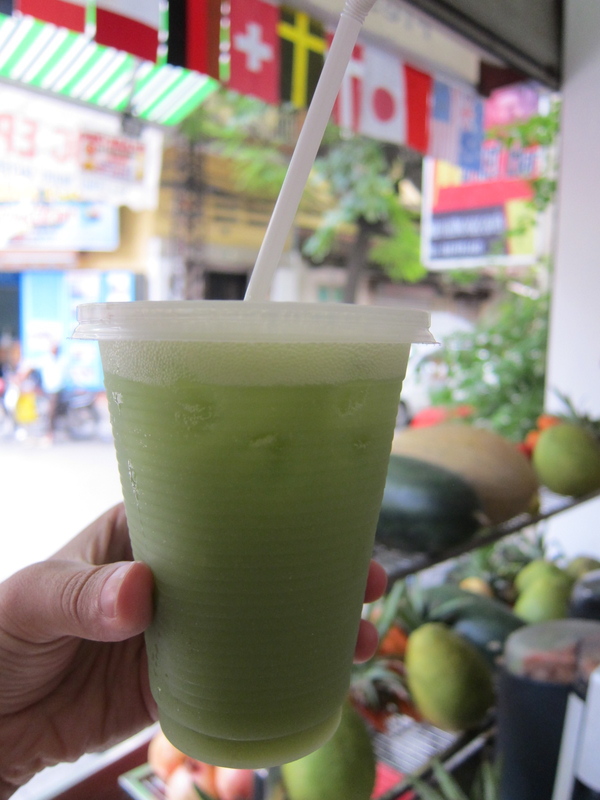 One of my favorites in Hue was the nuoc mia – super sweet, yet surprisingly refreshing freshly-pressed sugar cane juice. It was so addictively good it disappeared within a matter of seconds. From Hue we ended our trip in Hoi An, a calm and quaint beach town. 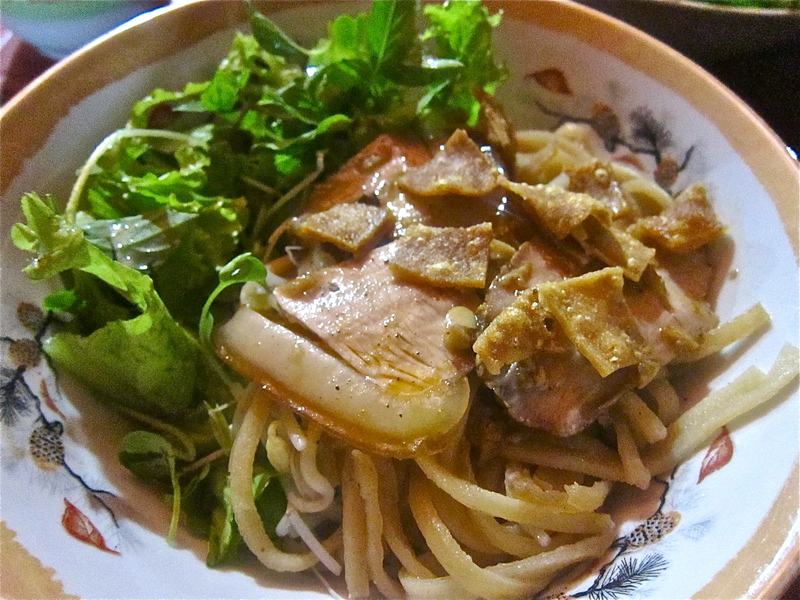 I will always miss Hoi An and its famous Cao Lầu (thick, chewy yellow noodles, roasted pork shoulder, a porky broth and fresh herbs topped with crunchy pork cracklings- swine heaven). 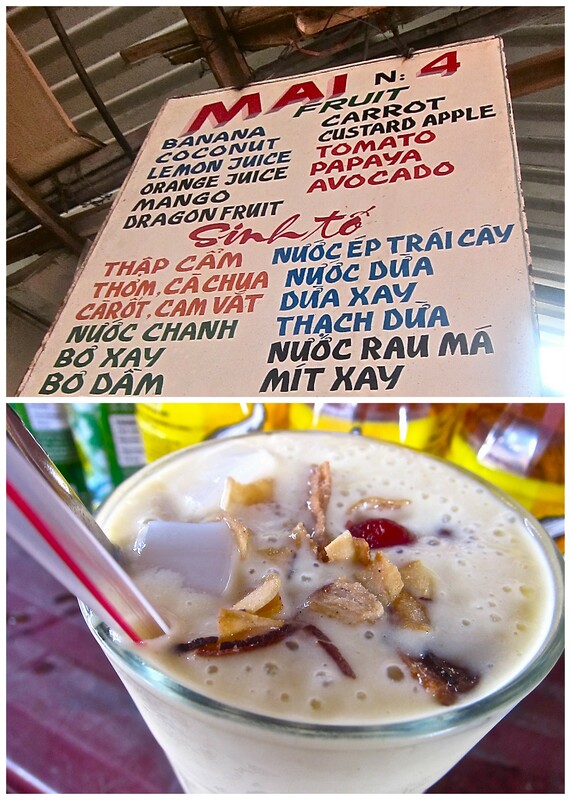 My favorite sweet find in Hoi An was the sinh to from Mai N:4 inside the central market. This smoothie was velvety, rich and bursting with fresh bananas, mangos and topped with thick toasted coconut strands. All in all, Vietnam is truly a gastronomical wonderland. Each region is rich with its own specialties that surprise and delight. My belly and I miss Vietnam! * side note: being the donut loving fiend that I am, I sampled fried doughy delights wherever I found them throughout Vietnam. I even went out of my way (one expensive cab ride later) to find a German-owned doughnut shop outside of Hanoi. Each and every time, the doughnuts were a disappointment: dry, oily, lifeless. If you know something I don’t about doughnuts in Vietnam please share. 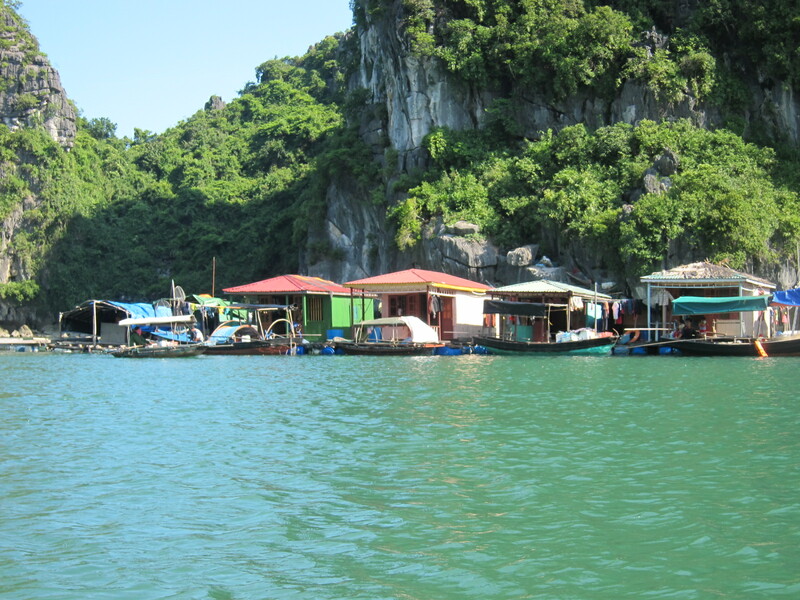 * favorite experience: spending two days in the breathtakingly beautiful Halong Bay aboard a “traditional junk.” The emerald sea provided mile upon mile of striking scenery. We took a small bamboo boat through a fishing village, swam in the bay, climbed through a cave and enjoyed bia (Vietnamese beer) on the boat’s deck as the sun set. * and here is a pic of the Cau Lau I mentioned previously, it is a Hoi An specialty and i miss it daily! I want to see more savory. Bring on the banh mi! Esi- if my blog wasn’t sweets focused i would have had an entire post dedicated to the 15 bahn mis we devoured! sooooooooooooo freakin amazing there and they were .50 cents! Cathy – i did eat like a champ and my belly was awfully proud of our adventures. Wish i could devour 15 banh mis in 3 days here but they just aren’t as good or as cheap! Nastassia! absolutely love this ode to Vietnam. thrilled you had such a beautiful trip.